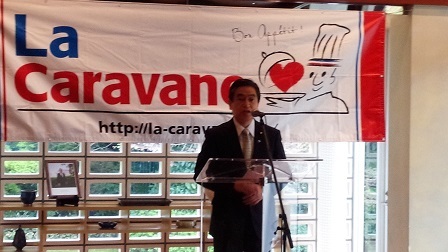 On April 3rd, 2016, State Minister Wakamatsu joined the reception for five years anniversary for La Caravane Bon Appetit at French Embassy in Tokyo. 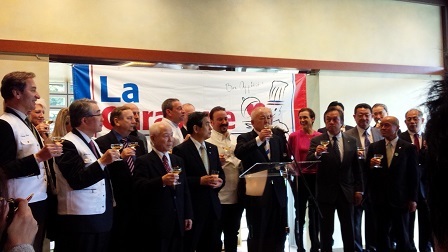 La Caravan Bon Appetit, the group of volunteers of French chefs, served hot meals in disaster affected areas in the aftermath of the disaster in 2011, and continued the activities for five years. State Minister Wakamatsu extended gratitude for their activities and wished for continued support after 5 years anniversary since the disaster, as we face challenges including fading memories of the disaster and negative reputation of the products from the areas.